Bargain Shopping Paradise: And the winner is . . . Thanks for all the wonderful money saving advice you all shared on my "Question about saving money on diapers!" post. I really appreciate all your insights and sage wisdom. Being a first-time parent, the costs for all the "gear" and supplies can be a bit intimidating . . . even for this resourceful bargain shopper. Good news on the diaper front, though—we've switched to cloth diapers and MAN! have I saved some moolah! I'll share more on that in another post. Now, as promised, I dropped all the commenters names in a basket and pulled one out. 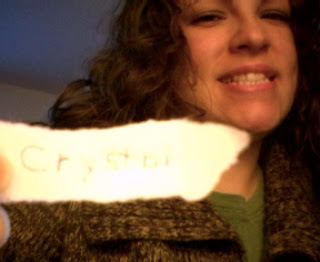 The winner of the Restaurant.com gift certificate is ~C! Congratulations!! I'll get in touch with you to find out what your zip code is, and then will send you your gift certificate. Thanks for your advice on the cloth diapers! Don't have the toilet sprayer yet, but will definitely be investing in that. Keep commenting, guys, and sharing your awesome money-saving tips.